The Toledo Police Department is seeking grant money to cover the $300,000 cost of an upcoming mandatory factory overhaul of its 15-year-old helicopter. Chief George Kral said without grant money the helicopter could be grounded. Toledo bought the Robinson R44 helicopter in 2001 for the department's aviation unit for about $504,000 and has used it over the years for surveillance, search and rescue, night patrols, to oversee chases, and in other emergency situations. City spokesman Janet Schroeder said the $300,000 overhaul may not be cost effective due to the helicopter's age. Officers in Cook County, Ill., can train with a judgment-based use-of-force simulator. The simulator provided by Cook County Homeland Security provides near real-life experience in which the action is altered by the officer's behavior and situations can be modified by instructors. One simulation is an active shooter situation at a movie theatre. Cook County Homeland Security has trained 150 officers and is adding two more simulators to the area. Illinois will begin creating driver's licenses with enhanced security features to protect citizens from identity theft and to comply with the federal Real ID Act. A person applying for or renewing a driver's license or state ID will have his or her photograph processed at a Springfield site, which will use facial-recognition technology to compare the photograph to millions of others in a central digital database. The applicant will receive a paper license or ID immediately, and a permanent card with laser technology embedded in it later. In addition to the use of facial-recognition technology to screen photos for fraud before issuing licenses, the cards will come with secure features and be harder to counterfeit. However, critics have voiced concerns about information security and privacy. State and local probation officers, court personnel, law enforcement and other community members in West Virginia recently took on the roles of various ex-offenders in a training event that aimed to simulate the challenges faced by individuals attempting to transition from incarceration into society. The re-entry simulation exercise was hosted by the U.S. Attorney's Office in collaboration with the probation office for the Northern District of West Virginia, and showed how difficult it can be for ex-offenders to find housing, employment and other key resources upon release from prison. The New Hampshire Department of Corrections has shifted money in its budget to cover a $1.8 million shortfall in its overtime budget this year, which officials attributed to staffing shortages. The department is shifting $2.1 million from various parts of its budget to cover the overtime shortage through the end of the fiscal year. Corrections officials said the state corrections department averages about 60 vacancies a month. A man flew a drone over the California Rehabilitation Center in Norco, according to authorities. The prison borders the Naval Surface Warfare Center, where it is illegal to fly a drone without permission. All military installations are designated drone no-fly zones according to Federal Aviation Administration laws. Prison personnel spotted the device the evening of May 15, and found the drone's pilot nearby, according to a California Department of Corrections and Rehabilitation spokesman. Riverside County Sheriff's deputies talked with the man, who was not arrested. Deputies from the Sheriff's Department's Norco station are investigating the incident further. A Connecticut woman accused of setting her former boyfriend's apartment on fire had her bail increased after allegedly forging a doctor's note claiming her electronic-monitoring ankle bracelet was setting off her pacemaker. Gina Clemente, 33, of Wilton was charged in April with first-degree arson for the May 2015 fire in Greenwich. In May 2016 a judge granted the prosecutor's request to have her put on electronic monitoring. The woman's attorney subsequently submitted a letter to the court from her doctor, which claimed the monitoring bracelet was causing her pacemaker to malfunction. The doctor said he never wrote the letter. A Georgia gang leader is charged with ordering a retaliation hit from prison that killed a baby boy, officials said. Kenneth Eric Jackson was indicted on murder and gang charges for his alleged role in the May 2014 shooting death of 9-month-old KenDarious Edwards Jr. Allegedly acting on Jackson's orders, officials said masked gang members forced their way into a Decatur home and opened fire on the child, his mother, his grandmother and a family friend. The three women were shot and wounded. The infant was killed. The District Attorney's office said Jackson used a contraband mobile phone while incarcerated at Autry State Prison to order the hit in retaliation for the death of another gang member, allegedly killed by the child's uncle. Jackson and two alleged gunmen are charged with malice murder, felony murder, multiple counts of aggravated assault and violation of Georgia's Street Gang and Terrorism Act. A third alleged gunman pleaded guilty to murder, the District Attorney's Office said. The Cumberland County (Pa.) Board of Commissioners has agreed to support a proposed actuarial tool to be used for adult probation assessments. The Ohio Risk Assessment System is a 35-question tool administered by a trained probation officer, and would provide officers with an assessment of an offender's chances of re-offending in the future. The 2016 statewide strategic plan for expanding the use of evidence-based practices in adult probation departments across the state entails the routine use of an actuarial assessment for purposes of pre-trial and post-conviction placement and supervision. In his 2017 proposed budget, President Obama has asked Congress for $1.1 billion in new funding to address the nation's opioid epidemic, with much of it focused on treatment assisted by medication. Scientists and doctors say the best way to tackle the opioid epidemic is to get more people on medications that have been proven in studies to reduce relapses. But some drugs used for treatment are opioids themselves, and some people in recovery circles say medication-assisted treatment is simply replacing one drug with another. Michael Botticelli, director of National Drug Control Policy at the White House, said patients should consider the evidence for medication-assisted treatment and together with their doctors make a decision about what's best for them. 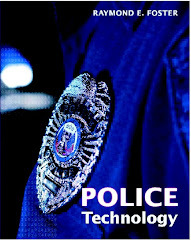 The Justice Technology Information Center (JTIC), a component of the National Law Enforcement and Corrections Technology Center System, is seeking a qualified vendor to perform an engineering review of several draft National Institute of Justice (NIJ) Standards for Video Equipment Used by Criminal Justice Agencies. NIJ is finalizing work on three draft standards evaluating equipment that uses video technologies in support of law enforcement activities. Through its partnership with JTIC, NIJ is seeking an engineering review of these draft standards by independent reviewers with relevant expertise. The engineering review would, through a reading evaluation of the draft standards, assist in validating the test methods and techniques proposed in the standards to known, accepted engineering and test practices, and critique the merits of each standard. The review would examine described test methods and related performance requirements to determine if they meet the needs of the law enforcement community and provide a reasonable and realistic evaluation of the equipment. The scope of this activity does not encompass an attempted performance or "breadboarding" of the test methods described in these standards. The deliverable resulting from these efforts is anticipated to be a written technical report detailing the reviewer's findings and recommendations. This report will assist JTIC and NIJ in finalizing their review of these standards and preparing them for publication. For more information and the specific requirements of this Statement of Work, see https://www.justnet.org/video-standards-rfp/video-standards-rfp.html. Proposals are due by 5 p.m. June 3, 2016. Proposals and cost estimates should be valid for 90 days. Preliminary statistics released by the FBI show that 41 law enforcement officers were feloniously killed in the line of duty in 2015, a decrease of almost 20 percent when compared with the 51 officers killed in 2014. Offenders used firearms in 38 of the 41 felonious deaths. An additional 45 officers were killed in 2015 in line-of-duty accidents, which include deaths that are found not to be willful and intentional. Causes include automobile and motorcycle accidents and being struck by vehicles. This total is the same number of officers who were accidentally killed in 2014. The Detroit City Council has approved a $5.2-million contract to equip police officers with body cameras. The first 25 body cameras will be issued in June in two precincts, with all 1,500 cameras to be issued over 14 months. The contract includes 450 in-vehicle cameras that will be integrated with the body cameras. A $1 million federal grant will be used to help pay for the cameras. Residents of a section of Brooke County, W.Va., can now record and stream suspicious activity directly to law enforcement through a smartphone app. People who feel threatened or see suspicious activity can open the ICE Blackbox app and press the record button. It then captures live video and audio and tracks the user's precise GPS location, which is then sent directly to law enforcement and neighborhood watch captains to view in real time. The Miami Police Department have recorded more than 6,900 shots fired since implementing a gunshot detection system last year. The ShotSpotter system uses high-tech audio sensors that are deployed above the street. A gunshot triggers a sensor, alerting police within seconds of the shot and its location. From March 2015 to March 2016, police recorded 6,986 shots fired. Police said statistics show gunfire steadily dropped during the last six months because police were able to respond quicker and saturate hot spots with their presence. A recent court settlement calls for an overhaul of the Illinois Department of Corrections policies toward mentally ill offenders. The settlement stemming from a class action lawsuit first filed in 2007 and approved by a federal judge in May 2016 includes providing short- and long-term care in residential treatment centers for prisoners requiring hospitalization, hiring more than 300 new clinical staff and 400 new security staff, and increasing out-of-cell time for prisoners kept in solitary confinement. More than 2,000 banned items, including drugs and mobile phones, were thrown into prisons in England and Wales last year, according to a BBC report. Methods include smuggling drugs in dead birds and sending them over prison walls with tennis racquets. In 2013, contraband was recorded as having been thrown over into prisons 797 times. The BBC also reported that more than 1,000 weapons were found in prisons in England and Wales in the last six months of 2015. The figures were released by the Ministry of Justice in response to a freedom of information request. Florida law requires sexual offenders and predators to register their Internet information, including emails and social media accounts, with their probation officers, the Florida Department of Law Enforcement and their local sheriff's office. State lawmaker Rep. Heather Fitzenhagen said the state tried to strike a balance by monitoring offenders' online activity while allowing access to help offenders restart their lives. Georgia prison officials are calling on cellphone provides to do more to prevent inmates from successfully using contraband cellphones for illegal activity. The state has implemented technology in a multimillion dollar effort to disable phones to block contraband calls, which has sometimes been successful. But Ricky Myrick, Georgia Corrections Director of Professional Standards, said major telecom providers could do more to help. South Carolina Gov. Nikki Haley has called for the jamming of signals, which is limited under federal law. Most Georgia cellphone service providers are members of the CITA trade association, which says illegal cellphones are a contraband problem, not a policy issue for wireless providers. So far this year, 66 state inmates in South Carolina have been disciplined for creating or assisting on social media sites, despite a ban on cell phones inside prisons and a lack of inmate access to computers. Prison officials consider such access a serious issue because inmates can engage in criminal activity and can use smuggled cell phones to post to the web. Bryan Stirling, the director of South Carolina's prison system, said correctional officers found more than 4,100 cell phones or accessories in prisons last year. He said rural states such as South Carolina should be allowed to use jamming technology to combat smuggled cell phones. The Lafayette Parish Correctional Center in Louisiana is taking steps to try to keep contraband out of the facility. The facility will start scanning all letters sent to the jail; inmates will get a digital copy instead of paper. In the future, officials plan to ask for funding to buy a body scanning machine. Use of a contraband cellphone helped an inmate run a multistate drug ring out of an Oklahoma prison, prosecutors say. The alleged drug ring was based in Miami, Okla., and operated in Oklahoma, Missouri, Kansas and Arkansas, moving methamphetamine worth between $250,000 and $1 million a week. Ten arrests have been made in the case. The alleged ring leader is serving a life sentence at the Oklahoma State Penitentiary in McAlester for the 1999 shooting death of a sheriff's reserve deputy. The state Department of Corrections confiscated 7,000 contraband cellphones last year, and formed a strike force in January to crack down on the contraband.